"Much has been said about the farce that occurred on Sunday, June 19, in Indianapolis, and I feel that in the interests of transparency, it would be worthwhile for someone who was actually present, and participated in the discussions leading up to the start of the Grand Prix, to provide a truthful account of what took place, both for the 100,000-plus fans who were present, and for the hundreds of millions of people watching on television around the world." "While this is a genuine attempt to provide a factual timeline of the relevant events that took place, should any minor detail or sequence be disputed, it will not, in my opinion, affect in any way this account of events that led up to arguably the most damaging spectacle in the recent history of Formula One." "For those who have not followed the recent political developments in Formula One, it is fair to say that, for over a year now, the majority of teams have felt at odds with the actions of the FIA and its President, Max Mosley, concerning the regulations, and the way in which those regulations have been introduced, or are proposed to be introduced." "Not a weekend has gone by where some, or all, of the teams are not discussing or disputing these regulations. This is so much the case that it is common knowledge the manufacturers have proposed their own series commencing January 1, 2008, and this is supported by at least two of the independent teams." "The general perception is that, in many instances, these issues have become personal, and it is my opinion that was a serious contributory factor to the failure to find a solution that would have allowed all 20 cars to compete in Sunday's United States Grand Prix." "I noticed that Ricardo Zonta's Toyota had stopped, but in all honesty, did not pay any attention to the reasons why; however, I actually witnessed Ralf Schumacher's accident, both on the monitors, and more significantly, I could see what took place from my position on the pit wall. This necessitated a red flag, and in the numerous replays on the monitors, it looked very much like the cause of the accident was a punctured rear tyre." "Throughout the afternoon, numerous people in the paddock suggested it was a tyre failure and commented that it was similar to the serious accident which befell Ralf Schumacher during the 2004 US Grand Prix. Later that evening was the first time I was aware of a potential problem with the Michelin tyres at this event. In all honesty, I didn't pay a great deal of attention, as our team is on Bridgestone tyres." 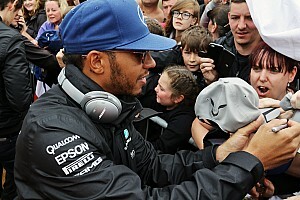 "On arriving at the circuit, the word throughout the paddock was that there was a potential problem with the rear tyres supplied to all Michelin teams for this event, and it became evident as the first and second sessions were run that most of the affected teams were being very conservative with the amount of on-track running they were doing." "In addition, Toyota announced that it had substituted Ricardo Zonta for Ralf Schumacher, who would take no further part in the event. Speculation was rife in the paddock that some Michelin teams might not take part in qualifying." "Also, during the practice session, I was informed there would be a Team Principals' meeting with Bernie Ecclestone at 1430 hrs after qualifying, which I incorrectly assumed would centre around the Michelin issue. Qualifying took place, and indeed, all 20 cars qualified for Sunday's Grand Prix." "At approximately 1420 hrs, I attended Bernie's office, and with representatives present from all other teams, including Ferrari, the meeting commenced. Surprisingly, the main topic of conversation was the number of events and calendar for 2006, followed by a suggestion that a meeting be convened at the next Grand Prix to discuss two issues only - firstly, a proposal for a single-tyre supplier in Formula One, and secondly, whether or not it would be desirable to qualify with or without a race fuel load in 2006." "Only at the very end of the meeting did the Michelin tyre issue arise, and in fairness, it was not discussed in any great detail. I personally found this strange, but as I have stated, it did not affect Minardi directly, and therefore I had no reason to pursue the matter." "Throughout Saturday evening, there was considerable speculation in the paddock that the tyre issue was much more serious than at first thought, and people were talking about a fresh shipment of tyres being flown overnight from France, and what penalty the Michelin teams would take should those tyres be used. By the time I left the paddock, people were taking bets on Minardi and Jordan scoring points!" "Later that evening, I checked with our Sporting Director on what developments had occurred, and was told that the issue was indeed very serious, and the possibility existed that the Michelin teams would not take part in the race." "I arrived at the circuit at 0815 hrs, only to find the paddock was buzzing with stories suggesting the Michelin teams would be unable to take part in the Grand Prix. I was then handed a copy of correspondence between Michelin, the FIA, and the Michelin teams that revealed the true extent of the problem. By now, journalists were asking if Minardi would agree to a variation of the regulations to allow the Michelin teams to compete, and what penalties I felt would be appropriate." "A planned Minardi press briefing took place at 0930 hrs, and as it was ending, I was summoned to an urgent meeting, along with Jordan, with Bernie Ecclestone, the two most senior Michelin representatives present at the circuit, IMS President Tony George, Team Principals, and technical representatives from the Michelin teams." "At this meeting, Michelin, to its credit, admitted that the tyres available were unable to complete a race distance around the Indianapolis circuit without a change to the track configuration, so as to reduce the speed coming out of the last turn onto the banking." "Much background information was provided as to the enormous efforts that Michelin, with support from its teams, had undertaken in the preceding 48 hours to try and resolve the problem, but it was clear that all those efforts had failed to produce a suitable solution that wouldn't involve support from the non-Michelin teams, and ultimately, the FIA." "What was requested of the Bridgestone teams was to allow a chicane to be constructed at Turn 13, which would then allow Michelin to advise their teams that, in their opinion, the tyres would be able to complete the race distance." "It was made very clear that this was the only viable option available, as previous suggestions from the FIA, such as speed-limiting the Michelin cars through Turn 13, could, and probably would, give rise to a monumental accident. This idea, as well as one concerning the possibility of pit stops every 10 laps, were dismissed, and discussion returned to the only sensible solution - a chicane." "During this discussion, a technical representative with specific knowledge of the Indianapolis circuit, together with representatives from IMS, were tasked with preparing the design of a chicane, and Bernie Ecclestone agreed to speak with the one Team Principal not present, Mr Todt, and to inform the FIA President, Max Mosley, who was not present at Indianapolis, of the planned solution to allow the successful running of the US Grand Prix." "With only a few hours now remaining to the start of the race, we agreed to reconvene as soon as Bernie had responses from Messrs Todt and Mosley." "At approximately 1055 hrs, Bernie informed us that not only would Mr Todt not agree, stating that it was not a Ferrari problem, but an FIA and a Michelin problem, but also Mr Mosley had stated that if any attempts were made to alter the circuit, he would cancel the Grand Prix forthwith." "These words had a familiar tone to me, as they were similar to those I had heard around midnight on the Friday preceding the 2005 Australian Grand Prix, when I was told by all the senior FIA representatives present that the Australian Grand Prix would be cancelled forthwith if I did not withdraw pending legal action between Minardi and the FIA. Once again, Mr Mosley was not present at that Grand Prix!" "It is fair to say at this point that the vast majority of people present in the room both felt and stated that Mr Mosley had completely overstepped the mark, had no idea whatsoever of the gravity of the situation, and furthermore, cared even less about the US Grand Prix, its organisers, the fans, and indeed, the hundreds of millions of television viewers around the world who were going to be affected by his intransigence." "By this time, the nine teams had discussed running a non-championship race, or a race in which the Michelin teams could not score points, and even a race whereby only the Michelin teams used the new chicane, and indeed, every other possible option that would allow 20 cars to participate and put on a show, thereby not causing the enormous damage to Formula One that all those present knew would otherwise occur." "By now, most present felt the only option was to install the chicane and race, if necessary, without Ferrari, but with 18 cars, in what would undoubtedly be a non-championship race. We discussed with Bernie the effects of the FIA withdrawing its staff, and agreed among ourselves a Race Director, a Safety Car driver, and other essential positions, and all agreed that, under the circumstances, what was of paramount importance was that the race must go ahead." "All further agreed that since we would most likely be denied FIA facilities, such as scales and post-race scrutineering, every competitor would instruct his team and drivers to conduct themselves in the spirit of providing an entertaining race for the good of Formula One." "At this point, we called for all 20 drivers, and indeed, all 20 arrived, at which point we informed them of our plan. While I cannot testify that each and every driver agreed with what we were proposing, what I can say with certainty is that no driver disagreed, and indeed, members of the Grand Prix Drivers' Association discussed overseeing the construction of a suitable chicane." "Jean Todt was the only significant team individual not present, and the Ferrari drivers stated this decision was up to Mr Todt. "I feel it is important to stress that, at this stage, and mindful of the total impossibility - call it force majeure if you wish - of 14 cars being able to compete in the race, the nine teams represented agreed they would not take part in the race unless a solution was found in the interests of Formula One as a global sport, as it was clear to all present that the sport, and not the politics, had to prevail if we were to avoid an impending disaster." "After a short break, we reconvened without the drivers. When I arrived in Bernie's office, Flavio Briatore was on the telephone to Mr Mosley, and it was quite clear from the body language of the others gathered in the room that Mr Mosley was having none of our suggestions. 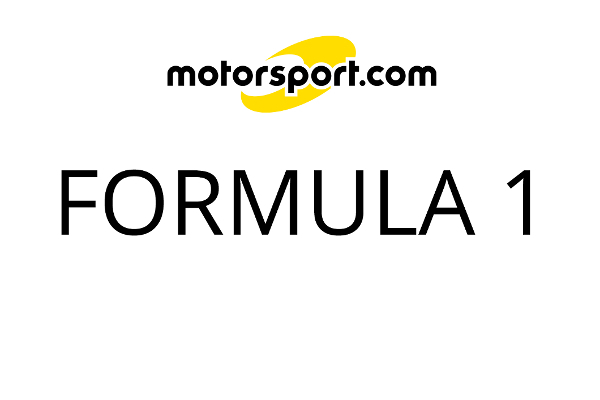 At the conclusion of the telephone call, it was obvious that many of those in the room had lost all faith in Mr Mosley and his ability to perform his function as President of the FIA in respect of Formula One matters." "I'm sure this sentence will be treated with contempt by Mr Mosley, but what must be realised is that there are various reasons that other Team Principals, and the most senior people in Formula One, will not say publicly what they openly feel privately about Mr Mosley, his politics and his governance of the sport." "There is a great temptation to go into those reasons in detail, but that is for another day. Suffice to say, those gathered at Indianapolis felt Mr Mosley, and to a lesser degree, the lack of co-operation from Mr Todt, were about to be responsible for the greatest FIAsco in Formula One's recent history." "Discussions then took place concerning the other telephone calls with Mr Mosley from, among others, Bernie Ecclestone, Ron Dennis and Tony George, and it was clearly revealed to what extent Mr Mosley was prepared to go in order to achieve his aims." "To my total disgust, it was stated that Mosley had informed Mr Martin, the FIA's most senior representative in the USA, that if any kind of non-championship race was run, or any alteration made to the circuit, the US Grand Prix, and indeed, all FIA-regulated motorsport in the US, would be under threat - again, exactly the same tactic that was used in threatening the Australian Grand Prix and Australian motorsport in March of this year." "By now, it was evident Mosley had bullied the US Grand Prix promoter into submission, Bernie Ecclestone was powerless to intervene, and all efforts of the Team Principals, with the exception of Jean Todt, had failed to save the 2005 US Grand Prix." "At this point, the pit lane had opened and a hasty discussion took place concerning whether or not the Michelin teams would go to the grid. A radio had been delivered to me by team personnel at this stage, and I was able to know which cars were going to the grid." "It is interesting to note that the Jordan Team Principal was not present at this time, and indeed, it was the Jordans that first proceeded to the grid, followed by the Ferraris. After discussion with Bernie Ecclestone, it was agreed the Michelin teams would go to the grid, but were absolutely prevented from participating in the race because of the tyre situation." "We then proceeded to the grid, at which point I asked Jordan's Colin Kolles if he intended to stand by the other teams or participate in the race. In no uncertain terms, I was told Jordan would be racing. I was also approached by a Bridgestone representative, who informed me that Bridgestone wished us to race." "This left me with one of the most difficult decisions I have had to take during my time in F1, as I did not want to race, but given my current relationship with Mr Mosley, felt certain heavy sanctions would follow if I did not. I made it clear to Bernie Ecclestone, and several Team Principals, that if the Jordans either went off or retired, I would withdraw the Minardi cars from the race." "It is important for people to realise that Minardi, the seven Michelin teams, Bernie Ecclestone, and the promoters did not agree with Mr Mosley's tactics. For the reasons previously outlined, it may take some considerable time, if ever, for this to be admitted, but there is no question in my mind that the farce that occurred on Sunday, June 19, 2005 at Indianapolis was the responsibility of the FIA President, Max Mosley, and compounded by the lack of support from Jean Todt." "For the avoidance of doubt, in my opinion, Michelin was responsible enough to admit that the problem was of their creation. When one considers that even the replacement, Barcelona-specification tyres that were shipped to IMS, when tested, apparently exhibited the same characteristics as those that originally failed, this clearly is a case of force majeure, as I do not for a moment believe that Michelin intentionally brought tyres to the event that were unsuitable for competition." "Far more importantly, however, Mosley refused to accept any of the solutions offered, and that refusal was, I believe, politically motivated. Therefore, I feel he failed in his duty, and that is why I have called for his resignation." "Much discussion and debate will undoubtedly take place over the coming weeks and months, but I believe this is a truthful and honest account of the facts, and not the fiction, surrounding the responsibility for this FIAsco. People can now make up their own minds!"